Happy birthday, dear Alabama! 200 looks good on you! 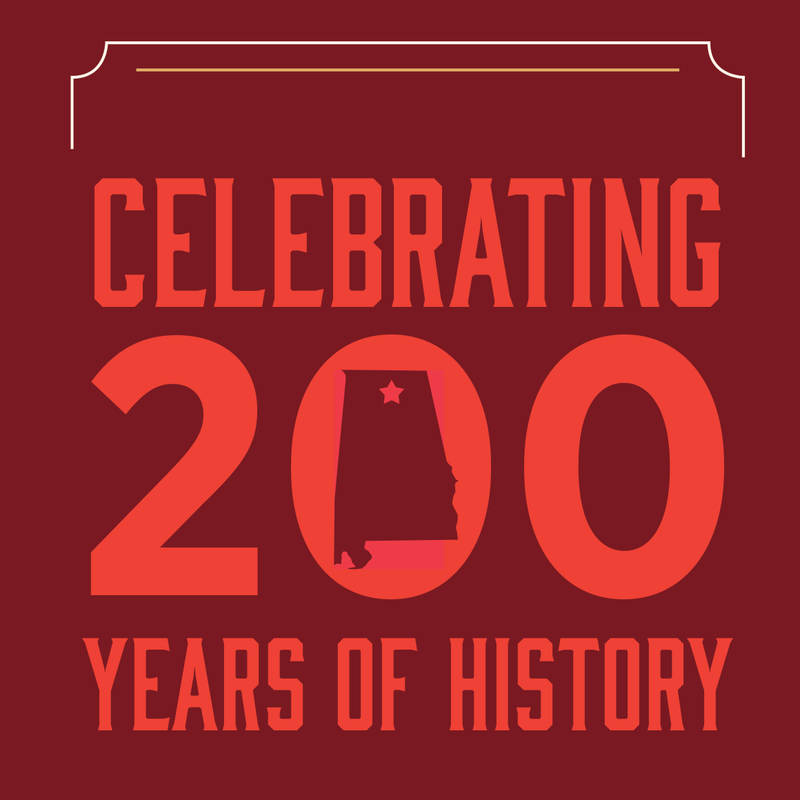 2019 is a special year here in Alabama as we celebrate the 200th anniversary of Alabama’s statehood. 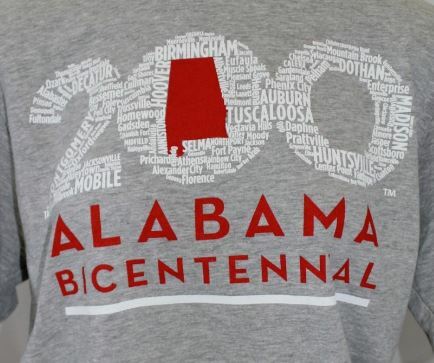 Since we know you will want to celebrate in style, here are a few places to score some Alabama Bicentennial swag! Get your swag where Alabama got its start! Alabama Constitution Village is located on the site where Alabama’s constitution was signed in 1819. 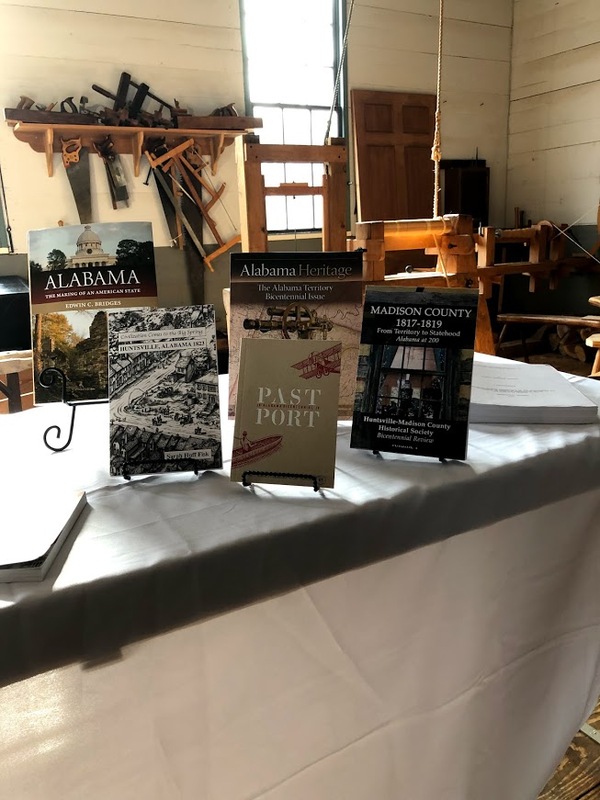 While Constitution Village is getting some bicentennial love and care ahead of its April opening, check out the gift shops of EarlyWorks and the Depot for your AL200 needs! Harrison Brothers has been one of *the* downtown places to shop since 1894. The store is full of history and retains its original historic fixtures. An excellent place to stop for some AL200 gear that will impress all your friends! 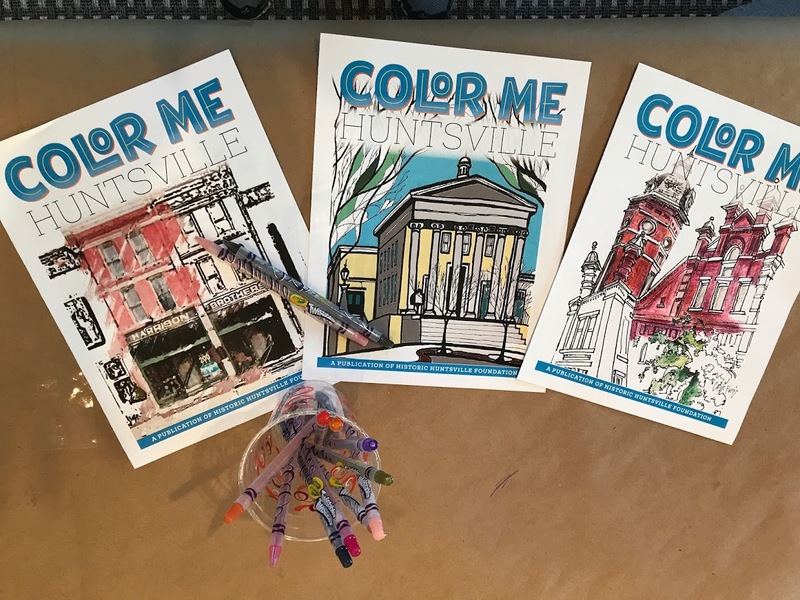 Make sure to look for the Color Me Huntsville books coming in Spring of 2019! Historic buildings with farm animals on a magnificent 167-acre site atop Round Top Mountain overlooking the city—what’s not to love about Burritt? Check out some awesome history and treat yo self to some Bicentennial goodies. 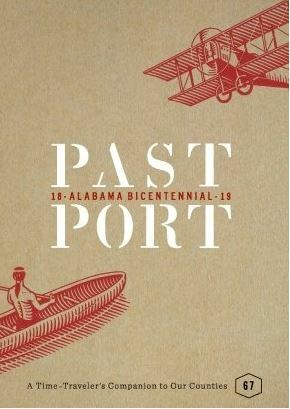 Don’t forget to grab your Alabama Bicentennial PastPort, a guide to Alabama’s historic destinations around the state and passport to the past! They even have a PastPort education guide you can find online here. 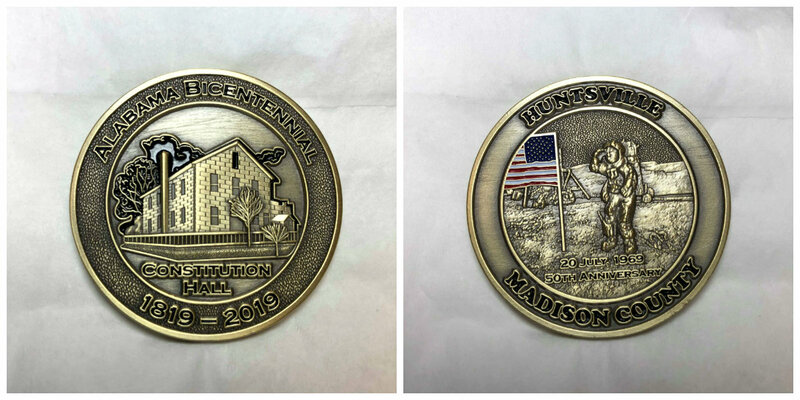 One of the unique gifts you can find at the Visitor Center is the dual Bicentennial coin that features Alabama Constitution Hall Park on one side and the Apollo 50th Anniversary of "Man on the Moon" on the other. There is official merchandise you can purchase online. The vision of the AL200 Committee is to create a moment to remember the people who made Alabama a state and to nurture the generations who will carry it forward. It is an opportunity to chart a vibrant, prosperous future for the state with history as our guide.